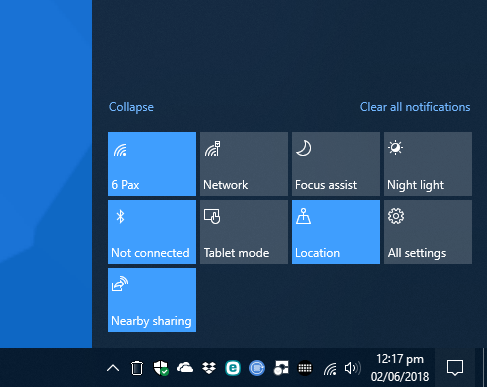 The Quick Action buttons in Windows 10 sit at the bottom of the Action Centre, opened by clicking the Speech bubble icon to the far right of the Taskbar. There are four visible initially, though clicking the Expand link will display more buttons. You can quickly click or tap any button to toggle a feature (such as Bluetooth on/off) or to cycle through options (Focus assist has several). They’re a very quick and easy way to toggle Windows features on of off. 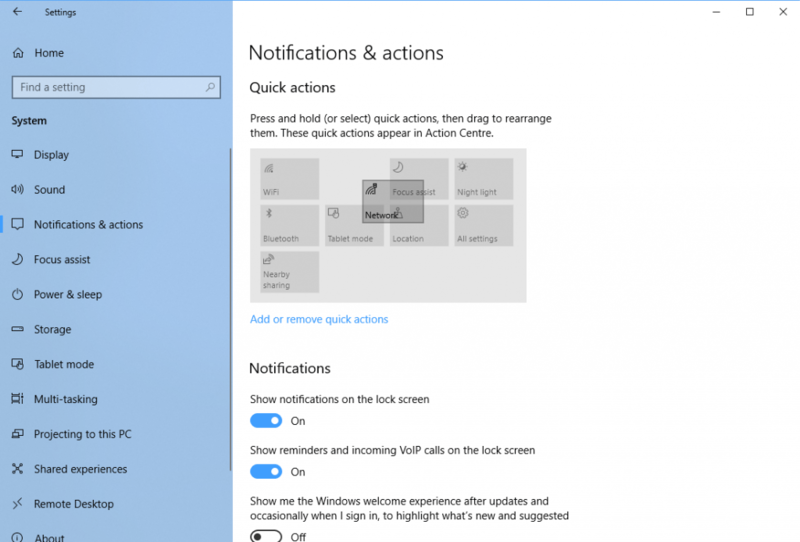 Additionally if you open Settings > System > Notifications & actions you can customise the Quick Action buttons. You do this in two ways, by dragging the dropping the icons to rearrange them, and by clicking the Add or remove quick actions link to add or remove additional quick actions and you can have as many icons visible as you want. With the Quick Actions buttons configured, which just takes a couple of minutes, you can very quickly and easily access features you need, such as enabling and disabling airplane mode, toggling the night light feature for your screen, or switching between desktop and tablet mode.